I want to help make client’s lives easier whenever possible. On this page you will find names + links to shops + resources that carry products and/or services that I love and that I think you may appreciate as well. I am not compensated in anyway for referring these resources. I’m just a mama, trying to help you out. This page is a work in progress. 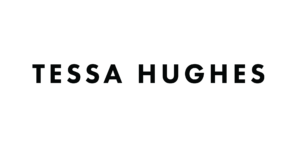 Tessa Hughes is a local designer with a background as a personal shopper and stylist. She designs each piece with the goal of empowering women to feel effortlessly beautiful and comfortable at the same time. The antithesis to fast-fashion, Tessa Hughes creates minimalist pieces that are neutral and “season-less”. Her line is ethically manufactured in Vancouver, Canada, using sustainable fabrics, and 10% of all sales are donated to help women escape human trafficking. Through Baby Prep’s™ private prenatal sessions or small group courses, you and your partner are provided with the support, information and care that you deserve from an experienced Registered Maternity Nurse. In addition to being a maternity nurse, owner Kathleen Mochoruk is also a mother of two and and enjoys sharing all of her experience and knowledge. She treats her clients like family! I highly recommend her to families.